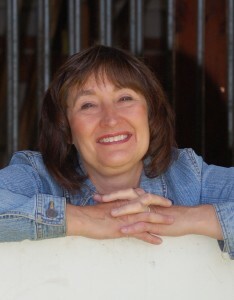 Cedrona Enterprises operates the jamidavenport.com website, which provides information related to the author Jami Davenport. This page is used to inform website visitors regarding our policies with the collection, use, and disclosure of Personal Information if anyone decided to sign up for Jami Davenport’s newsletter or enter any sponsored contests. To deliver newsletters and Jami Davenport-related messages, we may require you to provide us with certain personally identifiable information, including but not limited to your name and email address. The information that we collect will be used to contact or identify you. We want to inform you that whenever you visit Jami Davenport’s website, we collect information that your browser sends to us that is called Log Data. This Log Data may include information such as your computer’s Internet Protocol (“IP”) address, browser version, pages of Jami Davenport’s website that you visit, the time and date of your visit, the time spent on those pages, and other statistics. This information may be used to create ads based on those who visit this website. However, this data will not be used by anyone other than Cedrona Enterprises.